Venezuela as a whole is suffering. As much as we wish that the people of Venezuela didn’t have to suffer, it doesn’t mean that it has to be in vain. There are countries across the world that we can learn from when it comes to preparedness. In this case, we can take a look at some of the diseases that are making a comeback in a country experiencing a SHTF event. Keep this article about storing antibiotics in mind while you read through this look into one man’s life in Venezuela. My son had a rash in his little armpits and other parts. So his mom took him to the doctor, within walking distance from our subdivision (our SUV is still busted). After the subsequent blood test (according to my wife it was a real spectacle. He is a strong kid and a task force between my wife, the doctor and a nurse was needed to get the blood sample…well at least we know he is able to defend himself.) The lab result (freaking expensive because the reactants are scarce) was salmonella. I started to worry a lot, as it is logical. That was Thursday. I got immediately into fast-forward mode, and found the money, while I was extremely concerned about the availability of the needed antibiotics. My wife woke up early, and with a neighbor in his car went with the kiddo to the pharmacy. 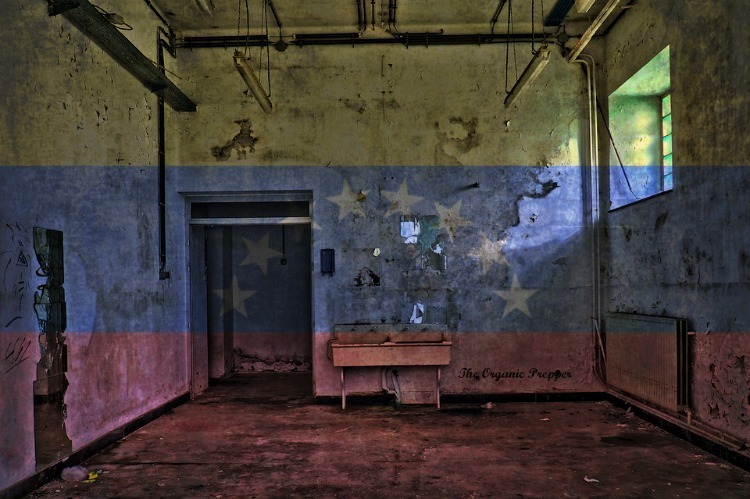 After visiting two pharmacies with negative results, they headed up to a state-owned pharmacy next to the state hospital, controlled by Cubans or party members, who betray the hospital personnel that dares to report malnutrition deaths or similar events. This is happening. She was finally able to find the medicines on Saturday morning, at a really inflated price, but the neighbor works for an official government, with a flash of his badge she could buy them without the employees giving it a second look. To me, this was a major achievement under the actual circumstances. I used some of the money from your donations, to exchange it for the needed Bolivares to buy the medications, but the important thing to note here is that they were found. And that is not easy in this country. After you’re done reading about the resurgence of diseases in Venezuela, be sure to read our other articles on first aid.